Order your own copy of Sanctum of Twilight at your local retailer or online through our website today! Evil threatens Arkham from within with the approach of the Twilight Fair. 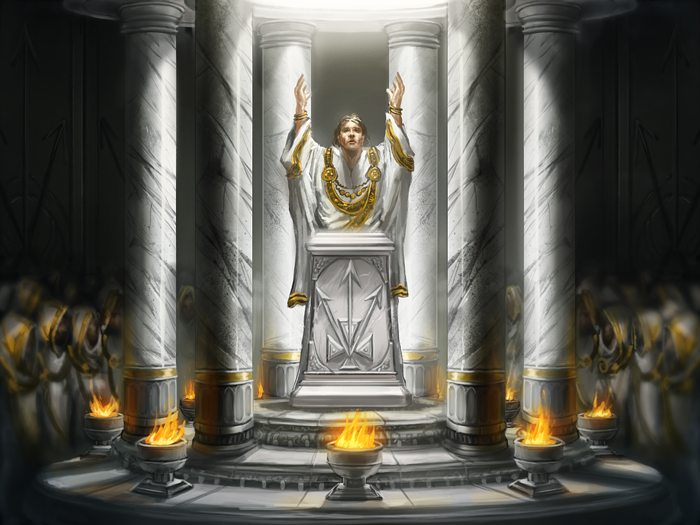 The organization behind the festival, the powerful Order of the Silver Twilight, controls the city from the shadows, using their money and influence to forge alliances, lobby politicians, and conduct strange rituals behind closed doors. Those who seek out the truth of their operations often find themselves disgraced, arrested, or simply disappearing altogether. What is the Order trying to hide? 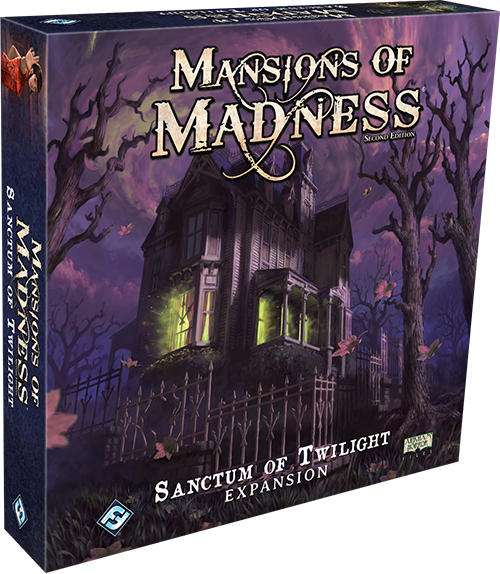 The Sanctum of Twilight expansion for Mansions of Madness is on sale now at your local retailer or online through our website! 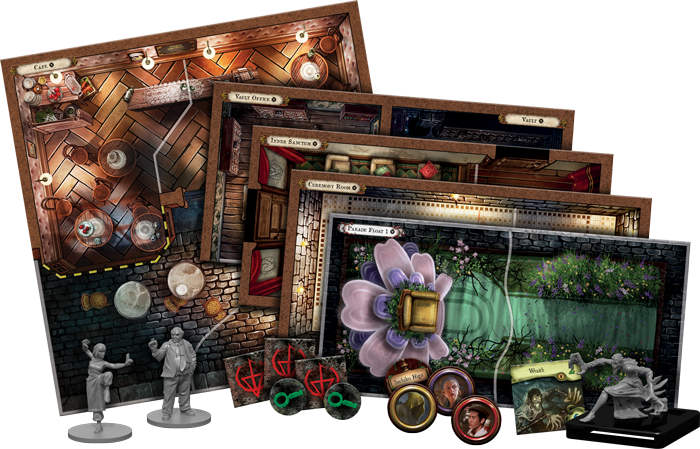 In Sanctum of Twilight, two to five players take on the roles of Arkham’s bravest investigators as they prepare to stand against the Order of the Silver Twilight in two digital scenarios that feature new map tiles to explore, a new monster to fight, and two new characters to embody. This expansion unites allies from Arkham’s own backyard and across the globe with the introduction of Charlie Kane and Lily Chen. Kane is one of the city’s most trusted politicians, using his natural charisma to draw strength. While he is within range of a person, Charlie Kane may convert an investigation result to a success once per test. 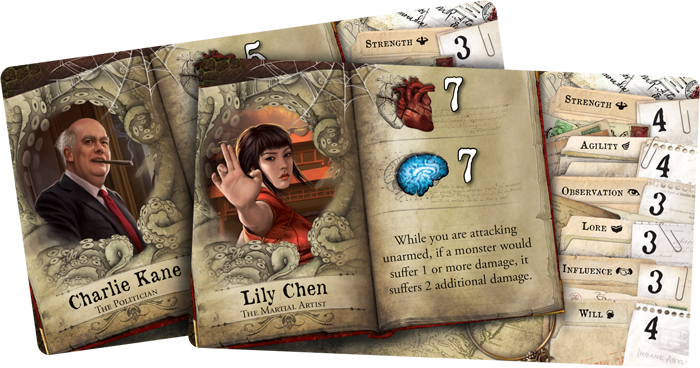 Meanwhile, Lily Chen may not be the most social investigator—indeed, she rarely speaks at all—but her skills in unarmed combat are unmatched. While Lily is attacking unarmed, she deals two additional damage any time that a monster would suffer at least one damage. Whether trained in the art of negotiation or combat, it will require every ounce of both these investigators’ skills to bring the Order’s plots to light. Luckily, the investigators of Sanctum of Twilight have a new tool to help their investigations into the Order of the Silver Twilight with new Restraint tokens that you may be able to gain from items and spells. These powerful tokens allow you to trap a monster, binding it to its place on the map, so that you may slip past it without evading. Then, when the Restrained monster would activate, you may choose to spend the Restraint to cancel its movement, buying you a few more precious moments to gather the evidence you need to expose the Order. Once you step into the shoes of Arkham’s investigators, you will face-off against the rich and powerful in two new digital scenarios. First, in Behind Closed Doors, there is nothing to disturb your peace for one blissful day. You decide to go for a stroll in the park, basking in the peace that you have helped to safeguard, until you notice that another of the park’s visitors is walking a little too closely behind you. It could be nothing, just your own creeping paranoia that refuses to leave even when you're safe, but you can’t help but think that something is not right. The next thing you know, your world goes black. When you awaken, you are trapped in a cold, damp cell with no memory of how you got here. But the circumstances of your capture are not important now. All that matters is, how do you escape? Next, in Twilight Diadem, the long-awaited Twilight Fair has finally arrived. The streets of Arkham will light up for a week of celebration, but when this year’s honored Queen of Love and Beauty, Miss Mary Ann Chase, tells you that the festival is not what it seems, you have no choice but to abandon any wish for peace and protect the young debutante. The Twilight Ball will take place immediately following the parade later that day, and once Mary Ann has entered the Order’s seat of power, there will be no chance of stopping them. The only hope you have is to stop the Order’s dark plan is to interrupt the parade before it reaches its final destination. In your mission to defend Arkham, you have confronted monsters, eldritch gods, and now the social elite. Step into the lavish rooms of the Silver Twilight Lodge, uncover the truth of the Order, and put a stop to their machinations before you become trapped in their web! Pick up your copy of Sanctum of Twilight (MAD26) at your local retailer today or on the Fantasy Flight Games website here!